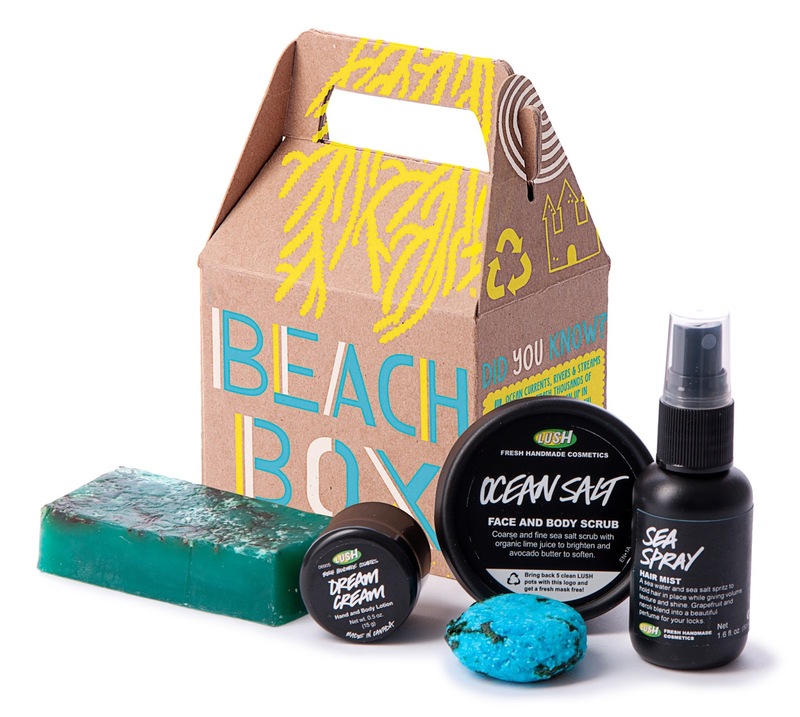 Ocean Salt Face & Body Scrub – Washing with Ocean Salt is like taking your face on a trip to the seaside for an invigorating splash in the water. Fresh avocado and coconut hydrate thirsty skin, while the antibacterial effect of lime and vodka clears pores. This is absolute heaven. There is noticeable larger sea salt grains in the blue part of this product and a finer grain salt in the white part. I used more of the blue part on my legs, knees and elbows and the white on my skin, using a gentle circular exfoliating motion and a mixture of the two for stomach, arms, etc. This has a wonderful scent to it and was an absolute treat to use in the shower. One of my favorite LUSH products. Sea Spray – This sea salt, sea water and seaweed spritz holds hair in place, adds shine and gives body for a beach-beautiful look. A gorgeous orange flower, grapefruit, neroli and rosewood blend perfumes the spray. Use anytime to refresh or add texture. This has a nice floral fragrance to it which will leave your hair with soft waves and flexible hold. Seanik Solid Shampoo – Soften locks and add shine with this mineral-rich, sea salt volumizing shampoo. 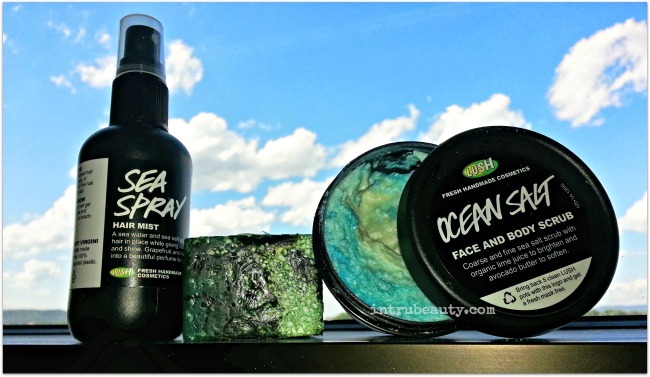 Made with the best ingredients from the sea; softening Irish moss seaweed, and Japanese nori seaweed. Dream Cream Lotion – This best-selling product contains every ingredient nature makes for soothing skin. A calming blend of oat milk, lavender and chamomile care for irritations, reduce redness, and banish blotches. Olive oil and cocoa butter are effective for dry skin. Sea Vegetable Soap – Sea Vegetable is made with skin softening seaweed with a crust of stimulating sea salt to give your body a good scrub down. This makes a really cool looking guest soap and I love having this out in my kitchen too. What is your favorite LUSH product or which would you most like to try? Comment and let me know. I bought this today, IT SMELLS TERRIBLE. So not worth the money. grossest thing ever. I hate it.